One of my friend who is based in Bacolod recently came to Manila to prepare some things for her upcoming wedding. 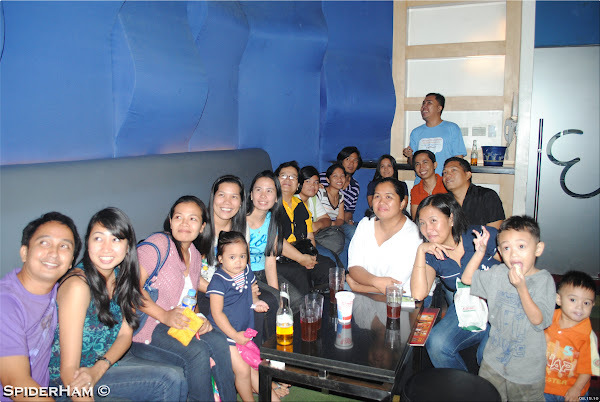 Since it has been almost a year when we saw our college friends, we decided to have a get-together party. One suggested that we try Red Box in Trinoma Mall so I have made a reservation a day before since another friend told me that walk-in customer seldom get a chance to get a room. There are several rooms that can cater for 5, 10 and 20 people. We were able to acquire the room for 20 people since were 15 already when we meet up. The setup is a little complicated if you frequently use coin operated videoke machine. It uses a remote control to select a song by artists, songs and other classification. Red Box Trinoma offers some promo when you visit them any time of the day. You can enjoy the Lunch Hour from 12 noon - 3 PM, with Eat All You Can Buffet and free room use for only 299 PHP per head. They also offer Happy Hour from 3 PM - 7 PM which includes free room use and 2 local drinks for 199 PHP per head. They also have Prime Time from 7 PM - 12 MN for 399 PHP per head. Red Box currently has 2 branches located at the 4th Level of TriNoMa and 3rd Level of Greenbelt 3, Ayala Center. For other promo offerings you may visit the above mentioned branches for inquiries. 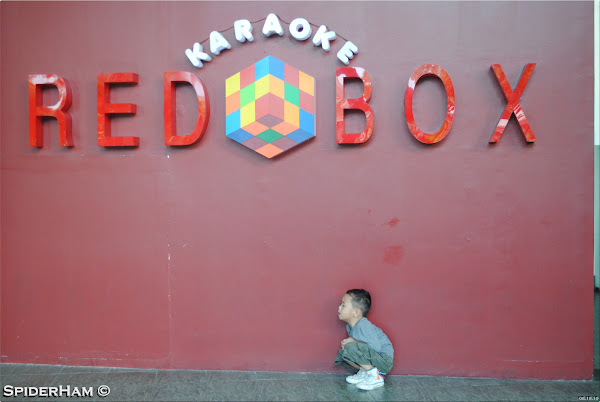 I recommend that you go and visit Red Box for an alternative way of celebrating parties with your family and friends.